We were very happy that 28 Pros and 28 Amateurs took a time-out from their Christmas activities to come to Avon Park and make this a very enjoyable tournament for all. Everyone seemed to really enjoy each other’s company and the Christmas decorations and atmosphere. 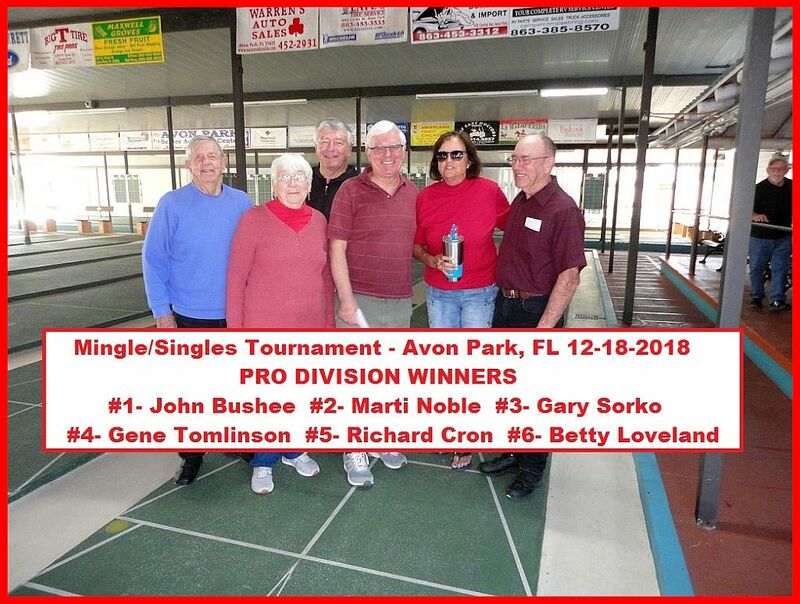 The “It is more blessed to give than to receive” attitude was temporarily abandoned out on the courts and everyone enjoyed 6 games of very stiff competition! 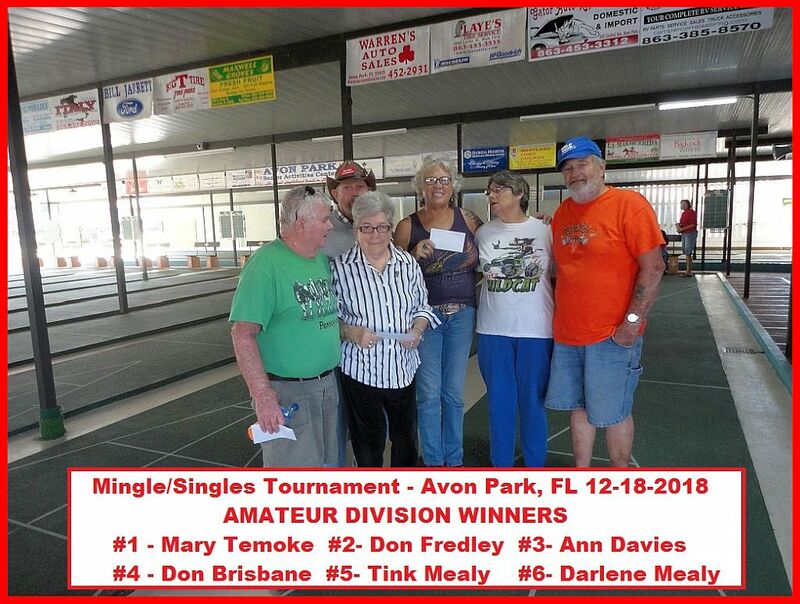 The next Mingle/Singles Tournament at Avon Park will be Tuesday, March 5, 2019. Please come & visit us! Merry Christmas & a Happy New Year to all from your friends at Avon Park !! !